Not even close to being a gadget, but a very powerful movie device, Solitaire’s playing cards are a major movie character in their own right. Not only do the cards act as operative guidance for her "Master", Kananga, but they operate as a device for James Bond. So convinced of her power through the cards, the naive Solitaire succumbs to 007's wiles. After all, if he turns over The Lovers, it must be so. Yes, it is borderline sexual assault. 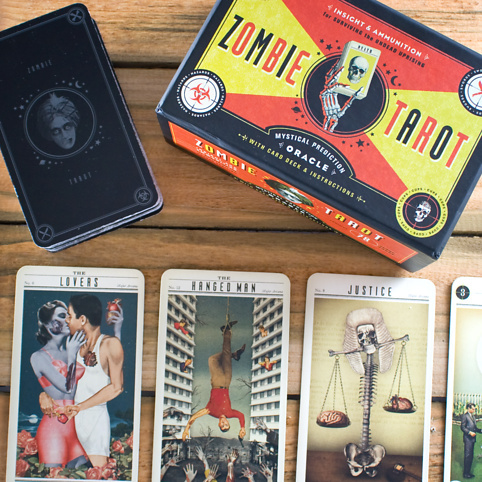 You can own a replica pack of Solitaire's Tarot Cards. The pack includes a box and a velvet storage bag. The prop pack also includes a detailed story booklet and certificate of authenticity. The 25 cards are printed on heavyweight 400pt stock card, with a repeating 007 pattern on the reverse of the cards. The pack is officially licensed and costs £34.99. You can order by clicking on the link below or the image on the right.